Tirim commercial washroom equipment and service at a great prices. 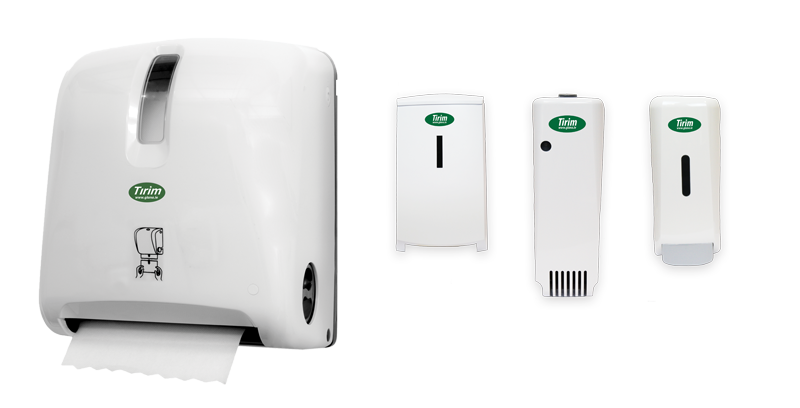 All our dispensers are designed to improve dispensing efficiency, enhance restroom appearance and simplify maintenance. 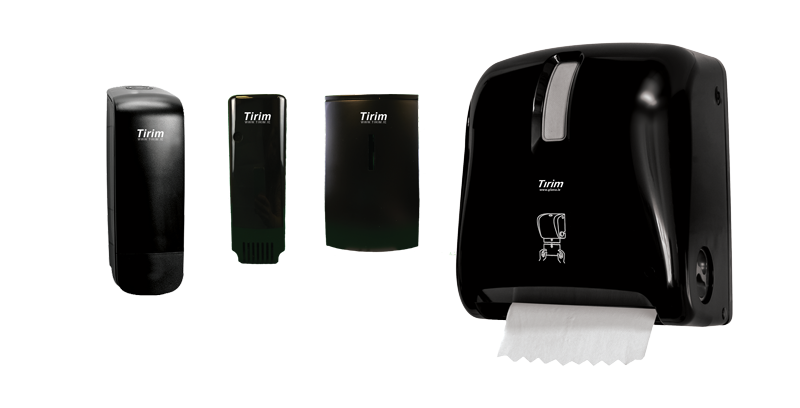 Tirim dispensers take on a role of controlling your spend on soap and paper towels, two commodities that suffer from over consumption and waste in public restrooms. Keep your whole environment smelling fresh and fragrant — with Tirim air freshener dispenser. All our dispenser come with free regular service and installation. If you are just about to start your own business or looking to upgrade your washrooms and reduce running costs we are here to help. Tirim Dispensers are available in a variety of stylish designs and formats to suit your environment. Recognised for portraying an upscale, modern image with their sleek gadgetry, Tirim dispensers also help improve hand hygiene by reducing cross-contamination in public restrooms.